Alibaba’s Cainiao Express logistics company, Air China Grup, and YTO Express announced a joint venture to create the world’s 6th largest logistics hub. The hub will be located at Hong Kong’s International Airport and will be state of the art, with automated systems, powered by Alibaba’s powerful AI technologies and will increase Hong Kong’s total air freight capacity by 25%, or 1.7 million metric tons. The new logistics hub is expected to be running at full capacity by 2023 and will mark a big step forward in China’s 'Made In China 2025 initiative' which seeks to have their products and brands, shipping to every corner of the world, with a guarantee of 24-hour delivery to all parts of China and 72 hour delivery to the rest of the world. International Compliance Workshop (“ICW”), a platform for product testing, inspection and certification announced a Pre-Series A investment of US$1.25 million led by Venture Capital & Private Equity investor MindWorks Ventures with additional funds coming from Betatron, V Moxie Capital, IC Ventures, Key Alpha, The Aria Group and other private investors. The financing will be used to fund ICW's continued global expansion and for further investment in its proprietary technology platform. Founded in 2016 and based in Hong Kong, ICW connects global retailers, manufacturers, material suppliers and trading companies with testing service providers. Supported by advanced technology, ICW deliver 24/7 product compliance support to clients, helping them save time, manpower and financial resources. Hong Kong-based Quantifeed has closed US$10 million for its series B round, led by Taiwan’s Cathay Financial Holdings, whose subsidiary, Cathay United Bank, is a Quantifeed client. US-based asset management firm Legg Mason also participated. Quantifeed, operating in HK, Malaysia, Singapore, Taiwan and Australia, makes wealth management and advisory software for financial institutions, online brokers, wealth managers, and so on. Its services include investment advice based on goals, risk, and theme, an analytics platform, and sales and customer engagement tools. 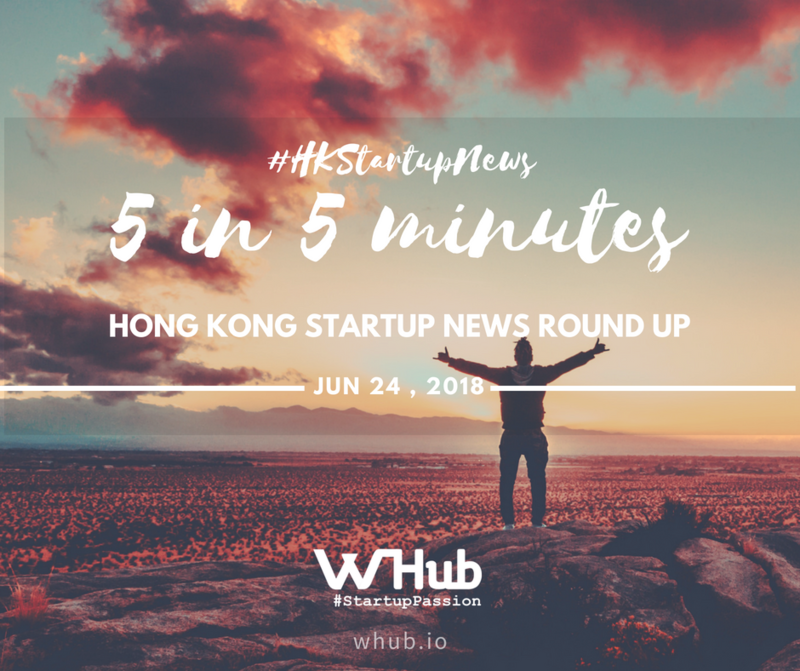 The funding will help the five-year old startup to expand its business and open a new office in Singapore. Quantifeed will also double down on research and development in data science, behavioral analytics, and more. Wise Talent Information Technology, which operates China’s largest job recruitment site - Liepin, is seeking to raise as much as HK$3.12 billion (US$400 million) in Hong Kong – the second biggest IPO by a unicorn company this year after Ping An Good Doctor’s US$1.1 billion listing in April. Wise Talent, backed by venture capital firm Matrix Partners China, plans to sell 88 million shares at an indicative price range of HK$28.5 to HK$35.5. Liepin, is China’s largest job recruitment site by revenue. In 2017, Lieping’s revenues jumped 40 per cent year on year to 825 million yuan (US$128.4 million), more than 95 per cent of which came from corporate customers. It also generated profit for the first time in three years, posting a net income of 7.55 million yuan. August Robotics, a startup that builds robotic solutions to enhance day-today-lives, has announced the closing of a US$3.7 million seed funding round. The seed financing was led by Blackbird Ventures, and was joined by a number of well-known technology founders and investors, including Atlassian co-founder Mike Cannon-Brookes (through his private investment company Grok Ventures), venture capital veteran Roger Allen and prominent businessman John Wylie. August Robotics will use the funds from the seed round to build a dedicated robot research & development centre in southern China, where the company will continue the development of its suite of specialised robots. Proceeds from the round will also be used to facilitate international expansion and build sales & customer servicing capabilities in August Robotics’ target markets overseas.